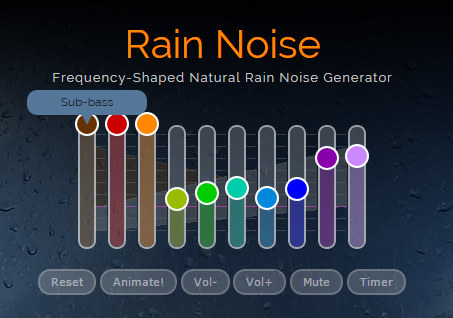 Have you ever been listening to Rainymood and thought, “Yeah, this is good … but it would be nice if I could customize the sound more, or if there was a little more choice. 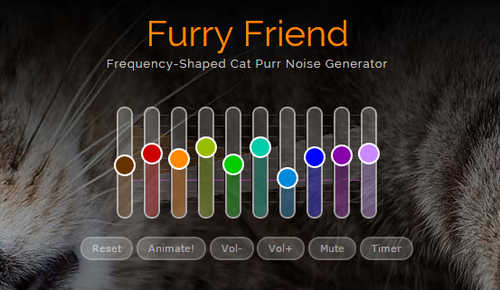 Let me introduce you to MyNoise. 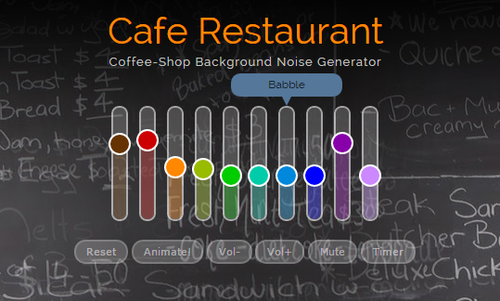 MyNoise is a customizable sounscape looper with so many options, even within each soundscape. So say, for instance, you really love rain sounds when you write or study or relax. Anything. I know I’m a big fan of rain sounds. They have a page for that. Or say you miss the ocean. Or say you miss your cat. Or say you miss your spaceship. Or say you miss the dungeon where you and your team of scalawag adventurers used to explore and face off against, say, dragons. In the dungeon. 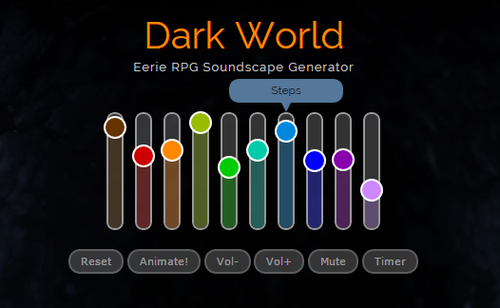 This site is seriously so helpful, and those are just a fraction of every kind of sounscape the site has to offer. 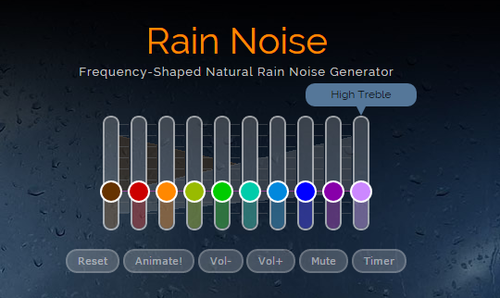 The best part is that if you want to layer it with music (for instance, I’ll layer a playlist + rain + coffee shop if the scene I’m writing takes place in a coffee shop), you can adjust the master volume, meaning all of your layers stay at their respective volumes, just louder or quieter. I love this site. I’m sensitive to higher-frequency sounds, especially when I’m having trouble with hypersensory issues. High tones physically hurt my ears. 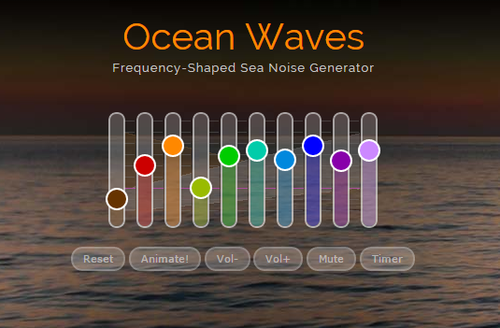 This site makes all these soothing sounds, then lets you customize them until it’s just right. If you’re at all familiar with channels (hrtz) when it comes to sound, you’re all set. I know what levels work best for me, and I can just switch them all to what I like and soon I’m listening to soothing sounds tailored just for me. 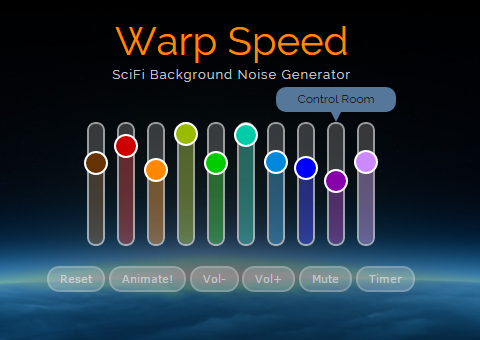 If you’re not familiar with channels in regard to sound and you have sensory issues, I’d highly recommend playing around with it because it will make music, TV, and internet a million times better for you. I’ve got at least 8 channels (the site has 10 channels) on my devices in my house, including my cell phone, and I had to search for a cell phone that had adjustable channels. Only Samsung has them so far, at least that I’ve found. The only complaint I have about this site is that they haven’t made an android app yet, only iPhone.